Make her birthday even more special with this Swarovski necklace! Womens birthday gift ideas need to be thoughtful, elegant and carefully selected. If that woman happens to be your girlfriend, then affection and devotion enter into the mix as well. 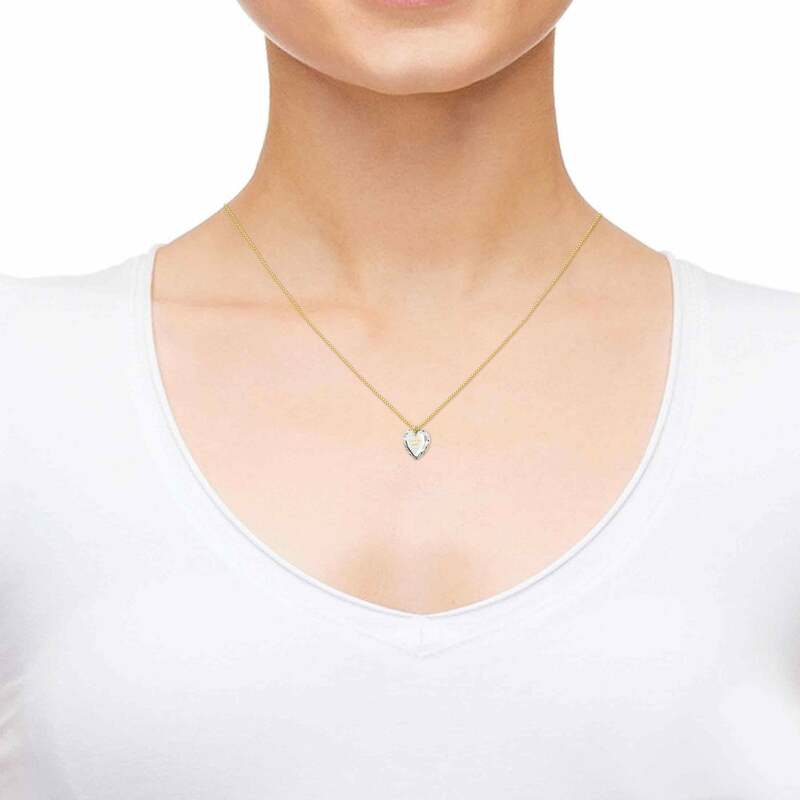 An infinity heart necklace is a perfect blend of all of these traits and is sure to occupy a prominent spot around her neck as soon as she manages to contain her excitement. 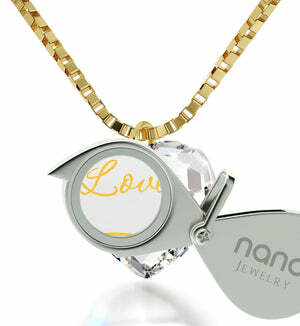 This is just the right kind of cute necklace for her both in terms of style and meaning. On one hand there’s the undisputed quality of its dainty gold filled chain, on the other, a one-of-a-kind feature she won’t encounter anywhere else. 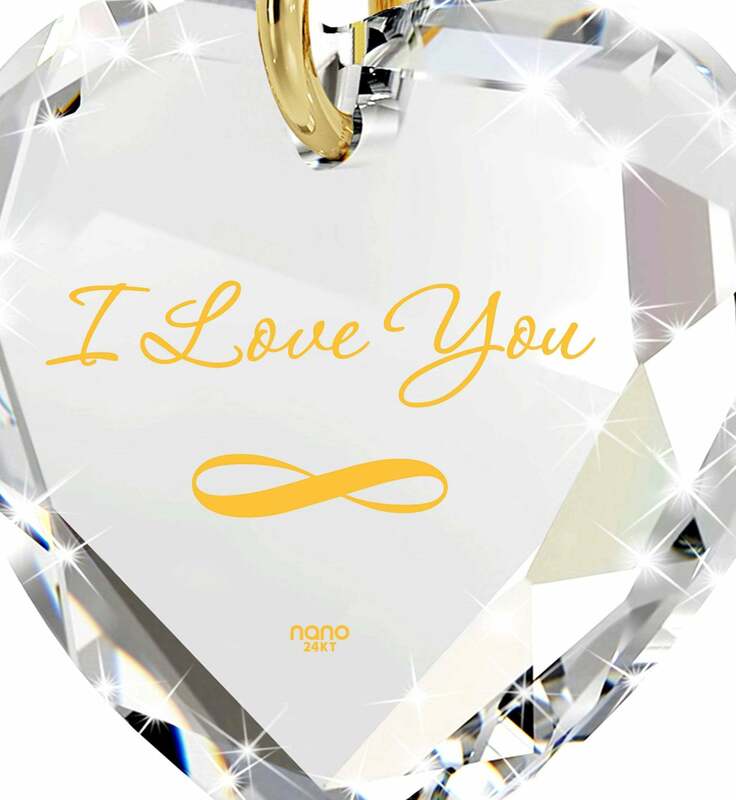 We’re talking about the words of love imprinted into its dazzling heart-shaped Swarovski crystal in a way that ensures they’ll last forever and that makes a whole new level of detail possible that simply can’t be recreated. 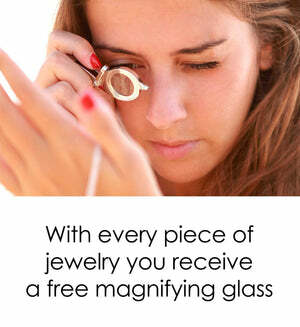 Clearly there are your everyday romantic gift ideas for her, and then there’s one such as this. 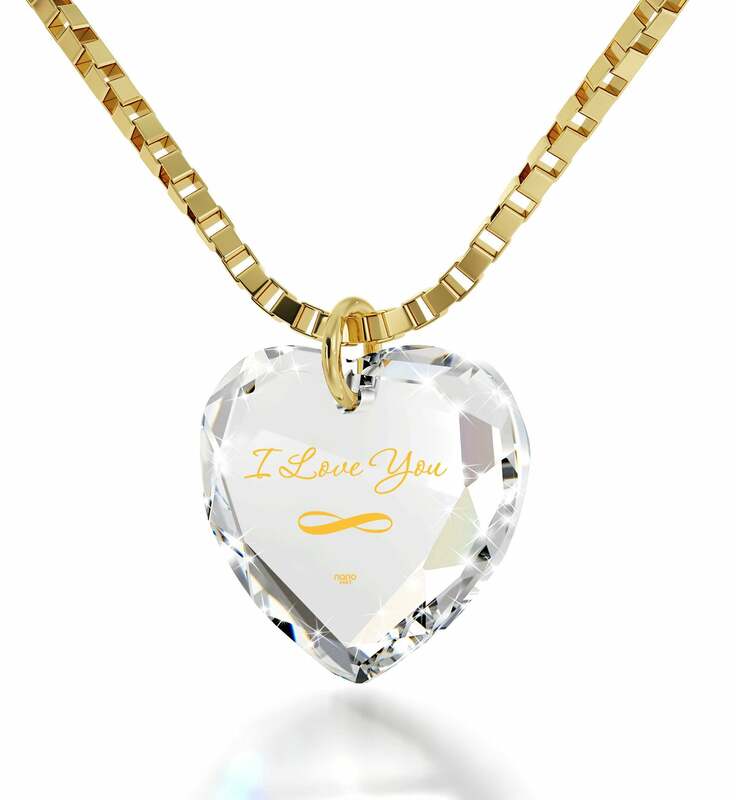 The imprint features the most powerful words one could imagine, “I Love You” and an infinity symbol beneath them. Discovering every part of this intricate and beautiful necklace will prove to be a delight thanks to a custom-made magnifying glass included in the package. Speaking of which, it wouldn’t exactly be the best girlfriend gift without an equally inspired box to come in, would it? No worries, because we made sure that she’ll like the box almost as much as the present inside.